We stock an extensive range of hire equipment which is always being expanded to include the latest technology and effects; we take pride in the condition of all our hire stock and can offer assistance in selecting the right pieces of equipment for your project. We also offer very competitive pricing for long term hires and tours. We offer a full range of creative and technical services to make any conference or corporate event a memorable and successful one. 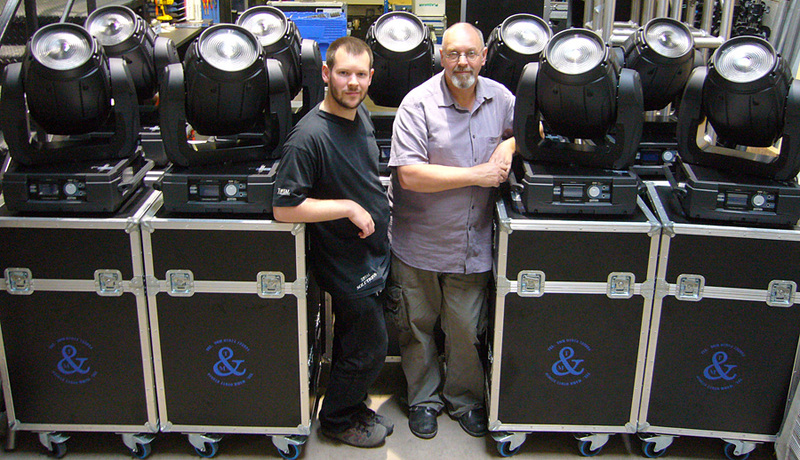 As well as offering lighting, sound and AV, we can design and supply sets of all shapes and sizes. We are also able to offer custom items for theming your event. Creative lighting that enhances architectural beauty. We specialize in architectural lighting, from single buildings to entire sites with more theatrical flair than many other companies. We have designed and supplied lighting schemes for national land marks and world heritage sites. We can design, supply and install lighting for any period, from a single day to several months, or even permanent installation. Any event, any size, any budget. T&M offer a full range of production services including lighting, sound, staging and AV for events of any type, size or budget, be it a fashion show, wedding, festival or theatrical show. We have the equipment and expertise to make your event a success. We offer friendly advice on planning the technical side of your event whether you are a seasoned professional or this is your first project. From lighting and sound to curtains and staging. We supply all types of equipment from all manufacturers, and as a production company, with our continuing experience of using equipment in the field we feel we can offer sound and knowledgeable advice. We also hold large stocks of consumables including lamps, gel, tapes, fluids etc. If we don’t have what you need in stock, most items can be sourced within a day or two. We are proud to be one of the foremost technical companies servicing the entertainment industry in Wales and throughout the UK. We pride ourselves on offering a highly reliable and friendly service to all our customers big and small... read more here. 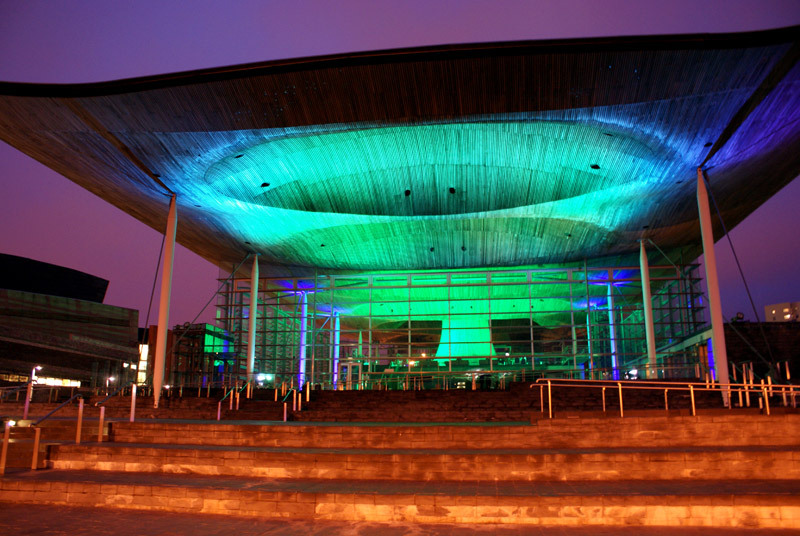 T&M Were asked by Asthma UK to light up the iconic Senedd building situated in Cardiff Bay. This project was commissioned to raise the profile of World Asthma day. We have lit several landmarks over the years including The Water Front Museum (Swansea), Blaenavon Ironworks, Cardiff’s Millennium Stadium and Caerphilly Castle.